A look at the finale’s surprising inclusion of the audience in the story. Episode 19 of the Summer 2018 Season of the (Not Quite) Daily Show, (NQ)DS Sum18 Ep19. 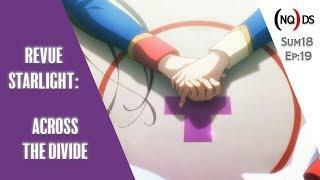 Contains spoilers for all episodes of Revue Starlight.